Got a nasty stain or smell coming from the inside of your car? Look no further than Pride Carpet Cleaning to give a deep steam clean to all affected areas in vehicle. From small cars to 4WDs to caravans to SUVs and even boat interiors, we have you covered. Our cleaning technique will restore it back to the way it was, using the power of natural steam. Steam cleaning is a unique and natural process which offers some of the most effective cleaning when done by a professional cleaner. Steam is safe on all fabrics and we have guaranteed results on all of our work. You are in safe hands with Pride Carpet Cleaning. Whether you want a quick clean or specialist detailing, we treat your vehicle as as we would treat our own. Contact us today and receive a special offer! 1 x Cleaning of five car seats in a hatchback (swift or corolla as a size guide) professionally steam cleaned, stains removed and deodorized for only $150*. Add the floor carpets and boot for only an extra $50*! Fabric protection also available for $50. 1x Cleaning of five seats of medium sized car (x-trail or elantra as a size guide) professionally steam cleaned, stains removed and deodorized for only $200*. Add the floor carpets and boot for only an extra $50*! 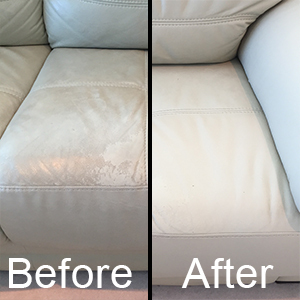 1x Cleaning of five seats of large car (falcon or commodore as a size guide) professionally steam cleaned, stains removed and deodorized for only $250*. Add the floor carpets and boot for only an extra $50*! 1x Cleaning of five seats of an 4WD or seven seat people mover professionally steam cleaned, stains removed and deodorized for only $300*. Add the floor carpets and boot for only an extra $50*!